Palmerbet Sports Team have A-League tips for every game from Week 16, headlined by a Saturday night ‘Big Blue’ blockbuster between Melbourne Victory and Sydney FC. Final Thoughts: One of only two teams that did not play midweek, the second-last Brisbane Roar are looking to leapfrog a Western Sydney Wanderers outfit suffering a similarly lean run. The Roar have just one win in the bank and have lost eight of their last 10 games. They managed a 1-1 draw on the Central Coast on Sunday to avoid sliding to last spot. Wanderers are just one point ahead after losing their last six games in a row; they conceded two late goals in an agonising 4-3 loss to Melbourne City on Tuesday. The teams drew 2-all in Week 4, with the Roar coming from a goal down at halftime. Wanderers won the teams’ only clash in Brisbane last year 2-0. Both sides are battling defensively and have seemingly forgotten how to win. The draw looks the most sensible option in this cellar-dweller showdown. Final Thoughts: The Wellington Phoenix’s club record nine-match unbeaten ended with a 1-0 home loss to Sydney FC on Wednesday. Roy Krishna – who had bagged three straight doubles in the Phoenix’s previous three outings – missed a late equaliser chance from the spot. Melbourne City solidified their top-four standing by getting out of jail against Wanderers on Tuesday. Ritchie de Laet scored two goals – including an 84th-minute equaliser – before Bart Schenkeveld struck the 94th-minute winner. It was an important result for City after losing to bottom-placed Mariners and playing out a scoreless draw at home to Perth in the previous two. City prevailed 2-0 when the teams met in Melbourne in Week 4. City have won seven of the last nine matches between the sides, but the Phoenix scored a 2-1 upset in their only meeting in Wellington last season. Prior to the dour loss to Sydney, the Phoenix had won three straight at home and drawn with ladder-leading Perth. City have lost three of their last five on the road and their up-and-down form is pushing us towards Wellington here. 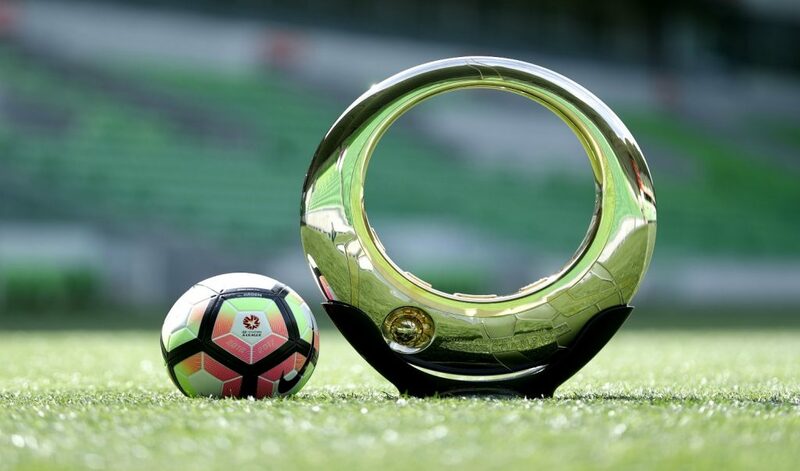 Final Thoughts: Second spot on the A-League ladder goes on the line in this heavyweight Australia Day clash, while Sydney FC could potentially grab the competition lead by the end of the weekend. The Sky Blues have won seven of their last eight games, including a deserved 1-0 away defeat of in-form Wellington on Wednesday. They appear to be regaining the defensive steel that underpinned their back-to-back Premiers Plates in the past two seasons. But the midweek win came at a cost with marquee man Siem de Jong injured while scoring the sole goal of the match. Melbourne Victory have lost just one of their last 13 games and came from two goals down to draw 3-3 with the flying Phoenix last Saturday. They are still missing Keisuke through injury, but Nils Toivonen and Kosta Barbarouses have got on the scoresheet in both of the Victory’s past two games. After losing seven straight against Sydney FC, the Victory have won the last two matches between the heavyweights – last season’s semi-final (3-2) and a Week 5 clash this season, both in Sydney. The Sky Blues are on a three-match ‘Big Blue’ winning streak against the Victory in Melbourne. Sydney’s torrid schedule and the de Jong injury shape as the key factors in this one. Final Thoughts: Adelaide United have lost just one of their last seven – away to Sydney FC – and can really cement their top-six spot with a win over the last-placed Central Coast Mariners. United will surely view their scoreless draw away to the Glory as a bonus. They won’t winning any awards for attacking potency – netting just 19 goals in 15 outings – but it was the Reds’ third clean sheet from their past five games. The languishing Mariners’ winning revival, which featured a drought-breaking upset of Melbourne City and a draw with Brisbane, came to a halt via a 1-0 loss at Newcastle on Wednesday. They have league-worst stats for goals scored (15) and conceded (35), but conceding just one goal in each of their last three games is something of a positive. Adelaide are unbeaten in their last five matches against Central Coast, winning four. United cruised to a 3-0 win in Gosford in Week 3, but a lower-scoring affair is on the cards at Coopers Stadium. Final Thoughts: Perth have seen their A-League lead whittled down to two points after recording back-to-back scoreless draws with Melbourne City and Adelaide. They will be eager to bank all three points in this home assignment. The Newcastle Jets have been wildly consistent all season, but they snapped a five-match winless run by edging Central Coast 1-0 at home on Wednesday. It was just the seventh-placed Jets’ fourth win of the season and they remain eight points adrift of the top six. Newcastle have managed just two wins and four draws in their last 21 games against Perth. The Jets did managed a 2-1 win at nib Stadium last season, but the Glory won 2-0 in Newcastle in Week ?? this season. The Glory need to bust out of their attacking funk but they shouldn’t have too much trouble with a Jets side that has lost their last six games against the current top six by a combined 12-3.